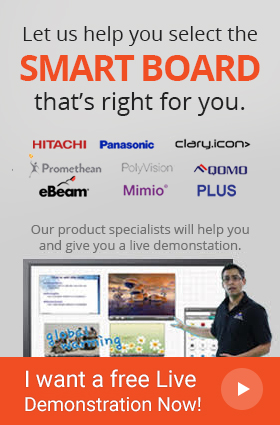 Gone are the days when using a colorful board to display information sufficed, the modern day consumer demands that his attention is only valued by something that amazes them in an unorthodox way. With the conventional video wall the screen only displays the stream of data, but other than that it cannot be used as a tool to interact with. The Planar clarity matrix multitouch LX55HDU-L-ERO-F addresses that problem with the best features yet. The Clarity Matrix MultiTouch Video Wall is an ultra-slim profile touch screen video wall ideal for public spaces or collaboration environments. Utilizing a touch kit, the Clarity Matrix LX55HDU-L-ERO-F can be transformed into a Clarity Matrix MultiTouch Video Wall featuring up to 32 touch points. This allows the user to interact and change the aspects on the screen accordingly making amends or edits in real time and that too with up to 32 touch points meaning that other people can interact with others on the screen together giving interactivity a whole new meaning. The Clarity Matrix LX55HDU-L-ERO-F MultiTouch with Planar ERO (Extended Ruggedness and Optics) technology provides a continuous touch surface while increasing durability and optical performance, so that a great interactive experience is achieved without any hindrance. The 55” screen is sure to amaze anyone with its big form factor coupled with a crisp 1920x1080 Full HD resolution. Clarity Matrix LX55HDU-L-ERO-F features a tiled bezel width of 3.7 mm giving it a sleek and stylish look. The 800 nits of brightness gives it a bright canvas to operate on that is bright enough to display in all sorts of ambient lightning inside. The Clarity Matrix Fiber Video Extension option provides a more secure and longer distance option for extending the video signal to the video wall display. All in all, the Planar Clarity matrix multitouch LX55HDU-L-ERO-F is a great new tool for interactive video wall solutions.